Problematic page: Why do I need to type `./` before executing a program in the current directory? 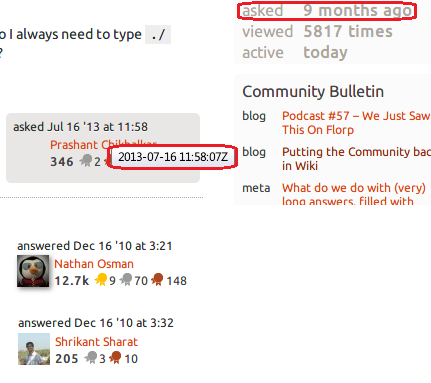 Look at the timestamp of posts by the original poster and some respondents. How did they answer the question before the question ever posted? What happens to the system? Possible answer: another question has been merged with that post. The answers are from another post and where moved into this one (merge).